I always look towards discovering new organic products because they are safe and don't harm my skin. Today, I would like to a review about my latest organic product discovery which I am not sure if you have already heard about. Nature Essentials sent me one of their best selling products, Maracuja Oil to try. My face is very dry at the moment and I need a product to help moisturize my skin and makes my skin looks healthy. I was hoping this product will help. 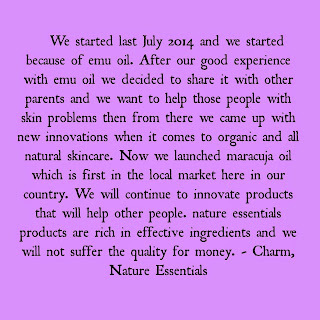 Nature Essentials has a lot of 100% organic products to offer. 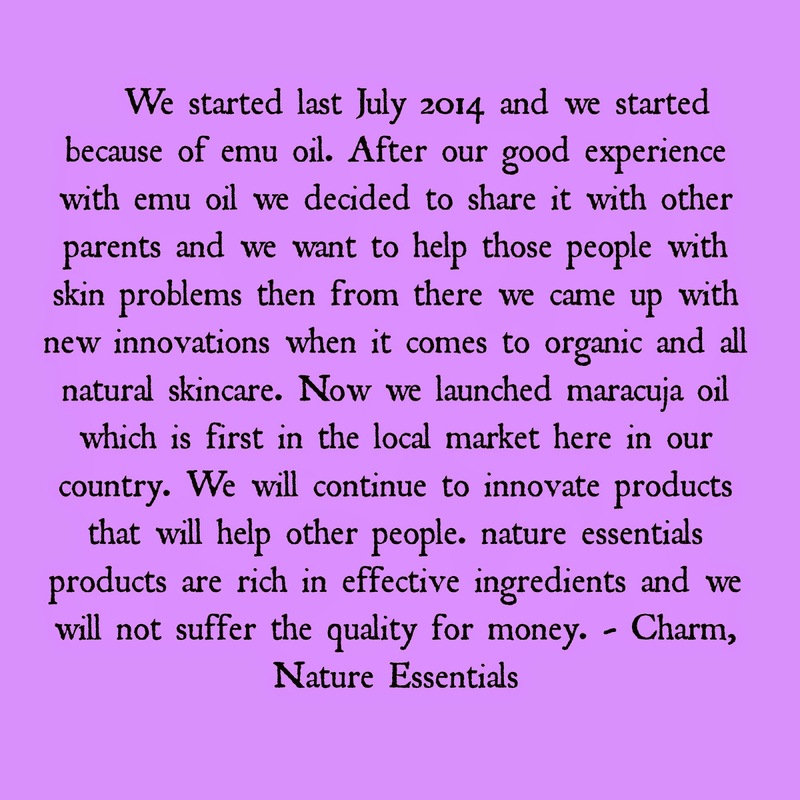 I would love to try more of their products since they are all organic and receives positive feedbacks from their costumers. 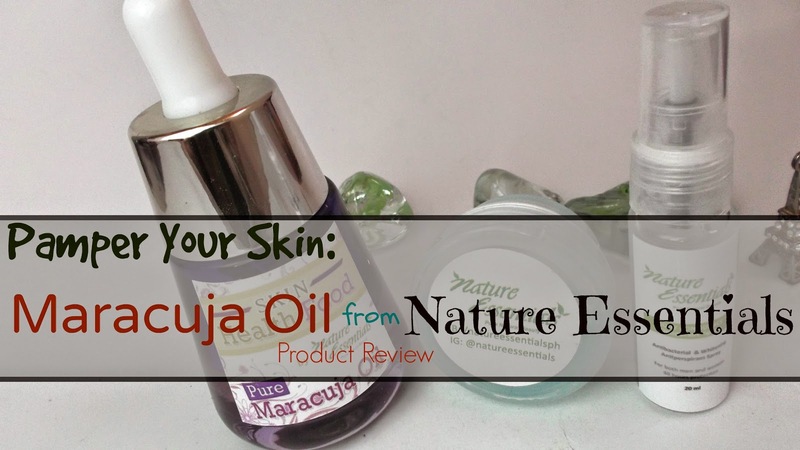 When I first heard of Maracuja Oil, I never had any idea what it is for. After an intense research, here's what I've found. To ascertain if the Maracuja Oil produce the results that were intended, it is necessary to employ days or a week of road testing the product. And now, after using it for two consecutive weeks, I am positively an authentic account by an eyewitness and i am ready to give my honest thoughts and judgment about this product. I follow the directions written on the label at the back of it. I only use it at night and include in my night skin care routine. I usually apply it on the top of my moisturizing cream. First, the small bottle looks neat and cute. 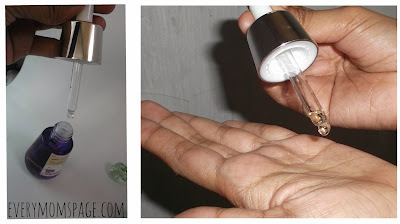 I like the size of it and it comes in a dropper which makes it convenient to get the product. The product allows you to get the right amount you need, two drops of oil goes a long way and can already cover my whole face. Since it is oil-based, expect that it's a bit feels heavy on face at initial application, but don't worry as it gets lighter after a couple of minutes. I don't know why but I notice beads of sweat on my forehead and upper lip and tip of my nose. The organic smell has very natural, rich essence of the oil which is light and not in any way harsh. When I applied this at night, I wake up with a fresh-looking face. I am amazed that it gives that healthy-glow which was initially noticed by my hubby. 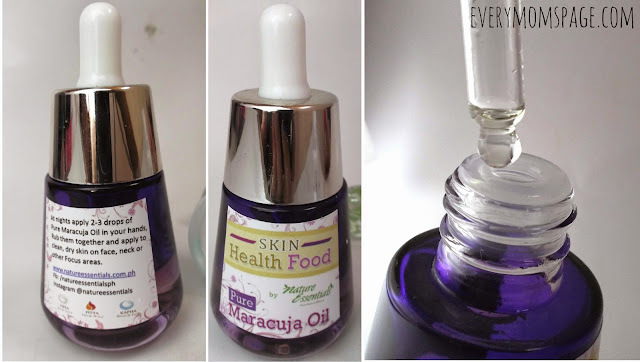 I applied this oil to dry patches around my nose and the next day, dryness is gone. I love the benefits it gives to my skin because this product is moisturizing and has a firming effect. 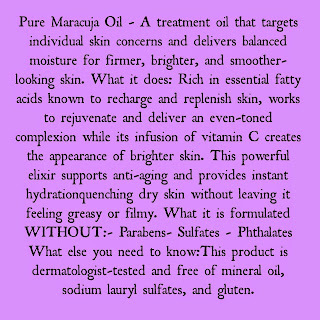 From now on, Maracuja Oil will always be on my list of go-to facial products. Taking good care of your skin early and investing on the right products that will benefit your skin in the long run is the best advice I can give. That is something I should have started at an earlier age however, it is not too late at all. Always keep in mind the earlier, the better. 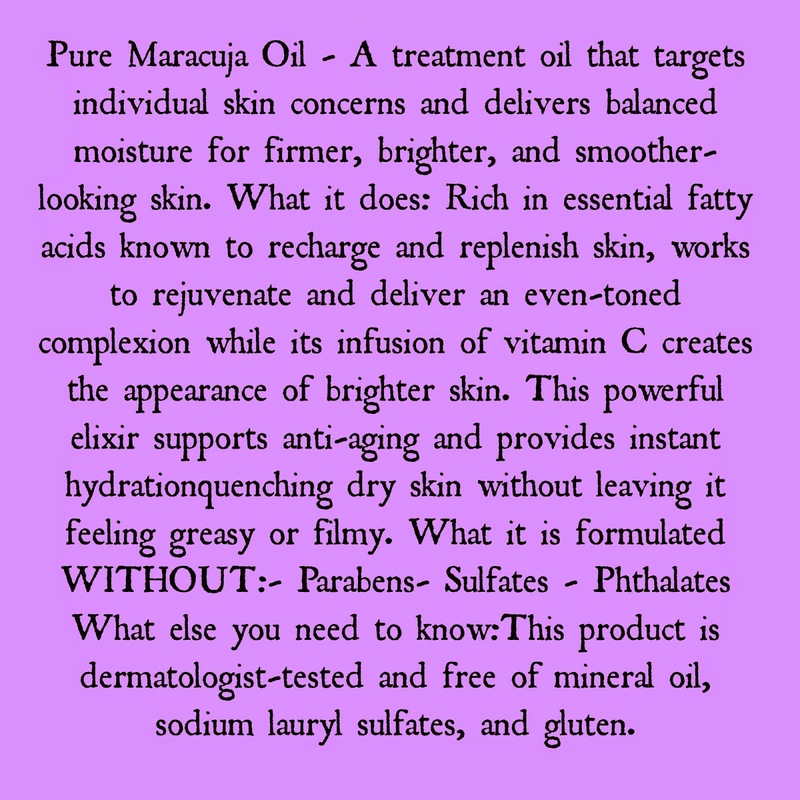 For more information about Maracuja Oil and other products from Nature Essentials, you can visit Nature Essentials in Facebook. Disclosure: NATURE ESSENTIALS has provided the author with the products reviewed above. The author received no compensation and all thoughts and opinions provided are strictly her own.